A theatre room can take time and money to perfect, but when done right, it can blow you (and your friends!) away. 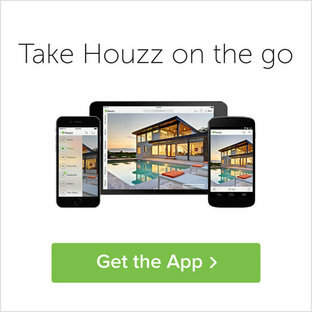 Technology has never been better, and with the likes of a 3D TV, projector or super-sized TV, surround sound, comfy sofa and recliner chairs, you can easily bring Hollywood into your home. True film fanatics might even install a popcorn machine or fairy floss maker! Add a gaming console that can hook up to the big screen and you have yourself a fully functional media room. If you’re really serious about creating your own home theatre, spend some time researching the right home theatre systems for your needs, as well as speakers, lighting and lounge furniture. 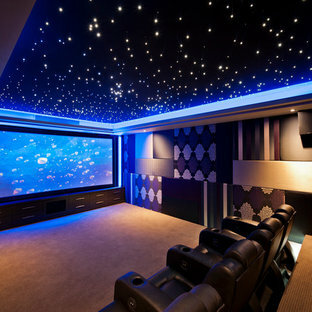 Or, seek the help of a Home Theatre Professional for advice on audio visual and home automation. 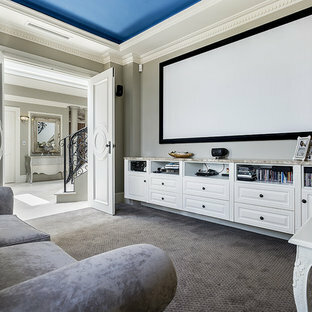 Do I need a designated room for a home cinema? 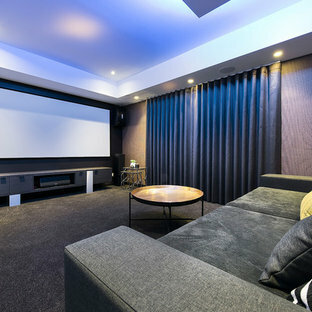 If you have space to spare, a separate cinema room can be quite the luxury, but it’s definitely not necessary to enjoy all the benefits of home theatre experience. Most people integrate their home cinema into their living room. 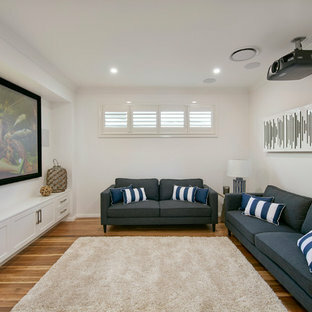 So you don’t compromise on style, consider having your TV screen mounted to the wall, or install a projector that can be stowed away when not in use. If in your living room, try to disguise your speakers and any cables. Ceiling-integrated speakers are a great option. Otherwise, in a standalone theatre room, consider making your speakers a feature. What should I look for in home theatre seating? Comfort should be front of mind when looking for home theatre seating, so look for options that allow you to sink in, recline and adjust your headrest. For an authentic cinema-going experience, stadium seating is a must. Platforms and stairs, complete with LED step lighting, can mimic tiers. Leather recliner chairs are a top-end choice, or you could opt for several modular sofas and ottomans instead. To cater for those who like to watch, eat and drink at the same time, look for seating that has cup holders, or install a bar area with turnable stools. What equipment should I add to my media room? A projector and projector screen will lead to a more dramatic movie experience, but the picture can be slightly blurry if the equipment quality is bad. A high-definition plasma or LCD TV might not be quite as large scale, but will deliver a more crisp, clear image. You can, however, find oversized wall-mounted TVs that match the size of a projector screen – but these do cost a pretty penny. Next, enhance your cinema experience with surround sound to make the movie-goers feel like they’re right in the middle of the action. 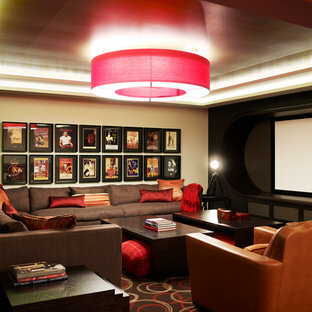 Home automation can further replicate the real cinema experience. Consider installing lights that automatically dim once the film starts, or LED strip lighting that comes on when a movie is paused. Finish your fit-out with a gaming console so you can use the big screen and comfy seats to battle your friends. The ceiling has several small down lights in it to create a starry night effect. The theatre has seating on two levels and the leather arm chairs create a luxurious cinema feel. Theatre as displayed at Mernda Villages Estate, Mernda. 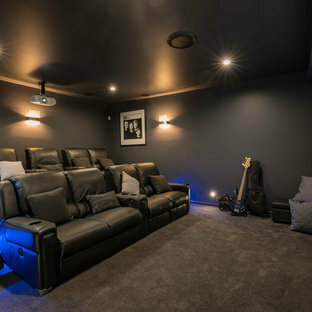 This room has been designed to be used as a cinema room. Custom Cabinetry designed by Moda Interiors. Walls: Dulux Grey Pebble Half. Ceiling: Wattyl Cumberland. Carpet: SC 5858 BEL.I MARE, Solution dyed fibre from Carpet Call. Artwork and Pinball Machine : Client's own. Coffee Tables and Cinema Chairs: Merlino Furniture. Photography: DMax Photography. Peter and Debbie are going for broke on the design of a lifetime. They’ve got half a million bucks to transform their already beautiful house, into a dream home. They’ve asked for wow factor and expect a sumptuous hotel style master suite, a Dr Who inspired media room and a kitchen and entertaining space to die for. In a massive makeover the team need to finish in time for the grand unveiling at Peter and Debbie’s 50th birthday party.